Mentor Request Form - Use this form to request a mentor with specific expertise. Flow chart to help guide you to some resources where you can learn more about some of the rules and regulations that may be relevant to you on your GoFly journey. 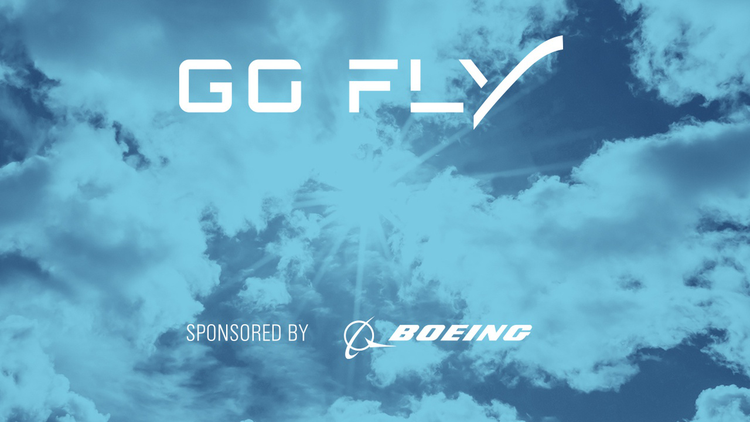 Reviews the Technical Rules for the GoFly Prize and includes a question-and-answer session. We know it takes more than just imagination and grit to get up in the air. In this session, Kickstarter’s Clarissa Redwine provides information about how to launch a successful crowdfunding campaign. Nick Methven is a Senior Vice President and Underwriting Executive at Global Aerospace, a leading provider of aircraft insurance and risk management solutions for the aviation and aerospace industries. In this session, Nick lectures about Procuring Insurance. Aerospace design expert and AIAA fellow Dr. Daniel P. Raymer wrote the world's best-selling book on aircraft design. Listen to his Master Lecture for advice on designing your personal flying device. Dr. Paul Bevilaqua invented the dual cycle propulsion system that made it possible to build a stealthy supersonic VSTOL Strike Fighter. Watch his Master Lecture for advice on vertical flight and powered lift. In 2013, WIRED Magazine named Dr. James Wang “the Steve Jobs of Rotorcraft” for his ability to think “out of the box” and pushing the transportation technology boundaries. Watch his master lecture on helicopter flight dynamics and controls. Will Porteous is a General Partner with RRE Ventures. He works primarily with media and hardware companies and is Director of BuzzFeed, Paperless Post, Spaceflights, and Spire. He is former Director of Whiptail Technologies (acquired by CSCO), Frictionless Commerce (acquired by SAP), Skyhook Wireless (acquired by Liberty Media), Tacit Network (acquired by PKTR), and Xobni (acquired by Yahoo!). Watch his lecture on the aerospace funding landscape. Dr. Arvind Sinha is the Director of Engineering, Helicopter Systems Division, for the Australian Department of Defence​. Watch his master lecture on aircraft optimization. Fernando Dones’ expertise in the Flight Controls was developed over a 37 year career making technical leadership contributions in various programs. Watch his master lecture on rotary-wing flight controls and vehicle safety management. Jeremy Conrad is the CEO of a new robotics company focused on the future of automation. Previously he was a founding partner at Lemnos, an early stage hardware focused venture fund. Watch his master lecture on how to make it in the aerospace start-up world with soft skills and networking for founders. Dr. Ken Rosen has over fifty five years of experience in the aerospace, propulsion, turbomachinery, manufacturing, and systems engineering community. Watch his master lecture on turning lessons observed into lessons learned in the world of VTOL aircrafts. Roger Connor is the Curator for Vertical Flight, Unmanned Aircraft Systems, Instruments & Avionics, Aeronautics Department at the Smithsonian Institution. Roger is also an experienced fixed wing commercial pilot with over 4,000 hours of flight time, including over 3,000 hours in dual instruction. Dr. William Lewis is Director for Aviation Development for the U.S. Army and is responsible for the success of the Army's multi-million dollar aviation science and technology program. Watch his master lecture on Aircraft Safety & Reliability and Managing Tech Dependencies. Dan Newman is a Senior Technical Fellow of The Boeing Company in aircraft configuration design and development and serves as the Chief Engineer for vertical lift aircraft research and development. Watch his master lecture on rotary-wing aircraft configuration design. Nick Lappos is Senior Technical Fellow for Advanced Technology at Sikorsky Aircraft where he oversees the introduction of advanced technologies into new and existing products. Nick began his Aerospace career in the US Army as an attack helicopter pilot in Vietnam. Watch his master lecture on conceptual design based on his experience as a test pilot. Bruce Kay is a retired Sikorsky Tech Fellow for Air Vehicle Design and was responsible for changing the paradigm that helicopter airframes had to be metal, which resulted in the world’s first composite airframe helicopter, the Sikorsky S-75. Bruce has numerous recognition awards from AHS, the Army, and NASA and holds 6 patents. Watch his master lecture on air vehicle design and project management. As members of the NASA Langley Research Center, Dr. Stephen Rizzi is a Senior Researcher for Aeroacoustics, Dr. Douglas Nark is a Senior Research Scientist, Technical Lead for Acoustics for the NASA Advanced Air Transport Technology Project of the Advanced Air Vehicles Program, and Dr. Nikolas Zawodny is a Research Aerospace Engineer for Aeroacoustics Branch. In this lecture, they discuss rotary-wing noise and hold a question-and-answer session. Dr. Greg Hyslop is Boeing’s chief technology officer and senior vice president of Engineering, Test & Technology. Dr. Hyslop oversees Boeing’s central research and development organization, along with the test and evaluation and intellectual property management teams. He also plays a key role in decisions that affect the technical integrity of Boeing products, services and processes and leads more than 45,000 engineers worldwide Watch his special Master Lecture on the vision of GoFly, the challenges that Teams will face, and suggestions for success in both the competition and the future of innovation. Peter Buck is a LockheedMartin Senior Fellow and co-designer of the Sonex, Waiex and Xenos Light Sport kit aircraft, which earned him the 2003 August Raspet Award. He has worked at the Advanced Development Programs (ADP), also known as the Skunk Works® since 1981. Watch his master lecture on the importance of achieving safety through design and development testing. Jim Murray has been a Partner at PJT Partners since August 2014. Over the past two decades Jim has built a broad network of contacts in the venture capital community that fuels ongoing technology and business model innovation in these industries. Watch his master lecture on venture capital funding and what it takes to turn your ideas into a sustainable business. Drs. Mark Yim, Bruce Kothmann, and Vijay Kuma are all members of the University of Pennsylvania’s Department of Mechanical Engineering and Applied Mechanics. In this Master Lecture, the three discussing ways to think outside the box when in regards to novel rotor/vehicle technologies, control for near-hover configurations and handling qualities, and the role of autonomy in human controlled flight. Dr. Marilyn Smith received her PhD from Georgia Tech in 1994 while working in industry from 1982 to 1997. She joined the School of Aerospace Engineering in 1997, and is currently a full professor and Associate Director of the Vertical Lift Research Center of Excellence. Her research sponsors include all branches of the DoD, NASA, DoE, ARO, ONR, and NSF, as well as industry, and has authored or co-authored more than 200 publications. In this session, Dr. Smith will be lecturing about Rotary-Wing Aerodynamics Analysis and will include a question-and-answer session. Helen Greiner is Founder of CyPhy Works, a company that builds flying robots for military and industrial applications. In 1990, she co-founded iRobot Corporation, the most successful mobile robot company in the world with more than 15 million Roomba vacuuming robots delivered to date. Helen received a BS Mechanical Engineering and an MS in Electrical Engineering and Computer Science both from MIT and honorary PhDs from both WPI and Clarkson. In this session, she lectures about Robotics and holds a question-and-answer session. Dr. Shane Arnott, is the Director of Boeing Phantom Works International and a Senior Technical Fellow, at Boeing Defense, Space & Security. In this position, he is responsible for the Phantom Works international presence in Australia, the United Kingdom, Korea, India, and Saudi Arabia. As a Senior Technical Fellow with Boeing, Dr. Arnott if recognised as being within the top 0.1 % of Boeing engineers, and is the international spokesperson for the fellowship. Damon has been involved in the RC/drone industry for 15 years. After graduating from MIT, he went on to graduate from GE's Operations Management Leadership Program (OMLP) where he ran several military manufacturing lines for aircraft including V-22 and P-3. While in these positions, Damon received his Green Belt in Lean Six Sigma and manufacturing resource planning. His most recent endeavors involved structural and payload design for advanced rotorcraft and small UAVs at The Boeing Company. Frank is a highly accomplished intellectual property lawyer, with a specialized focus on building robust patent portfolios for global high-tech companies. In the field of aerospace, Frank has helped companies and universities build portfolios relating to aerospace technology including aircraft fuselage manufacture and drone flight. Lori S. Hoberman is a well-known force in the in the New York City venture community. As a lawyer and mentor, she advises entrepreneurs and their investors on how to build successful businesses and strategically guides them through the emerging, later stages and exits of their companies. Lori works with clients in a range of industries, including software, mobile, biotechnology, AI, fintech, insurtech, fashion, e-commerce, consumer products and advertising. She also counsels angel and institutional investors in their investments and in the formation of investment funds. In this session, Lori S. Hoberman lectures about How to Start Up Successfully. Richard Golaszewski is Partner and Executive Vice President of GRA Incorporated. He has also conducted a number of assessments of technology development programs and written on the economics of aeronautical research and technology investments for NASA and other organizations. He was a member for the Aeronautics and Space Engineering Board of the National Academies for six years, and was named a Lifetime National Associate of the National Academy of Sciences in 2003 for his significant pro bono involvement in its aerospace and air transportation activities. In this session, he lectures about assessing new vehicle concepts, the demand for air travel. Dr. Inderjit Chopra received his Sc.D. (Aero & Astro) from MIT in 1977 and joined NASA Ames/Stanford University Joint Institute of Aeronautics & Acoustics before joining the University Maryland as a faculty member in 1981. He has worked on various fundamental problems related to aeromechanics of helicopters including aeroelastic stability, active vibration control, composite blades, rotor head health monitoring, aeroelastic optimization, smart structures, micro air vehicles, and comprehensive aeromechanics analyses. Dr. Bolukbasi is an internationally recognized expert in aircraft crash safety and impact dynamics. His technical knowledge spans multiple disciplines including structures and materials, dynamics, biomechanics, test and evaluation, subsystem design and integration, information technology, and computational methods. He was a program manager and principal investigator for over 20 IR&D, CR&D, and IAD projects. Dr. Darryll J. Pines currently serves as the Nariman Farvardin Professor of Engineering and Dean of the A. James Clark School of Engineering. In addition, Pines served as the 2015 chair of the National Academy of Engineering-NAE Frontiers in Engineering Education-FOEE Symposium which recognizes faculty from around the United States for their innovations in engineering education. Boris Popov founded BRS in 1981, and is currently the Director / Senior Vice President of Sales. He was born in Munich, Germany, and immigrated to the United States in 1949 through Ellis Island. He graduated from the University of Minnesota with a Bachelor’s in Economics and a minor in Aeronautical Engineering in IT. He holds rating as a Private Pilot and FAA Ground instructor and in Sailplanes, Hang-Gliding, and Floatplanes. David Neely has been with The Boeing Company 14 years. He is currently the Chief Engineer for Boeing NeXt Cargo Air Vehicle Program. Prior to that role he was a Senior Manager in Phantom Works for the Integration of Advanced Operations and Quality. He was the IPT manager for 777x rudder/elevator prior to that assignment. David also served as the F-15 IPT wing manager supporting new development, production, flight test, fatigue test and fleet sustainment. Earl Lawrence is the Executive Director of the UAS Integration Office and is responsible for the facilitation of all regulations, policies, and procedures required to support FAA’s UAS integration efforts. He also represents the FAA on the Senior Steering Group of the UAS Executive Committee, focusing on coordination and alignment of efforts among key federal government agencies. Mike Hirschberg assumed the duties of the Vertical Flight Society Executive Director on June 1, 2011, after 20 years in the aerospace industry, primarily in vertical flight. As the Executive Director, he is responsible for the execution of the strategic direction set by the VFS Board of Directors. Dr. Marilyn Smith received her PhD from Georgia Tech in 1994 while working in industry from 1982 to 1997. She joined the School of Aerospace Engineering in 1997, and is currently a full professor and Associate Director of the Vertical Lift Research Center of Excellence (VLRCOE). Bob is a Technical Fellow at Aurora Flight Sciences, a subsidiary of Boeing. He works mainly on the design of non-traditional aircraft, including subscale and full scale prototyping. He has been working on VTOL aircraft professionally for 20 years, but has also worked on Mars aircraft, solar aircraft, submersible aircraft and even a few conventional aircraft. Carl is Co-Founder and CTO of Terrafugia. He received his BS, MS and Ph.D. from the Department of Aeronautics and Astronautics at the Massachusetts Institute of Technology (MIT) shortly after receiving the prestigious Lemelson-MIT Student Prize for Innovation in 2006. Carl has spoken internationally and is generally regarded as the leader of the emerging modern flying car industry. Tess Hatch is an investor in Bessemer Venture Partners Silicon Valley office. She is focused on frontier tech, specifically commercial space, cyber security, and drones. She currently serves as board observer for Iris Automation, Rocket Lab, Spire, Auth0, Endgame, Distil Networks, Team8, Virtru, Claroty, CyberGRX, and Illusive Networks. Mourad is a Principal at Paladin Capital Group. He is an investment lead for the firm’s Cyber Fund, which focuses on investing in early stage companies in the US and Europe with solutions for cyber security and digital resilience. Christina Polaski is the Global Social Media Manager at Pratt & Whitney where she leads the company’s global social media and audience engagement strategy across LinkedIn, Instagram, Facebook, Twitter and YouTube in support of key business objectives, including product positioning, recruiting and growing brand awareness and affinity. Joe Nickerson is a Flying Qualities Manager and Associate Technical Fellow at Boeing Vertical Lift in Philadelphia with experience in handing qualities, wind tunnel testing, and aeronautical engineering. Colonel John W. Jones serves as the commander of the US Army Redstone Test Center, where he directs a 1,300 person workforce of military, Army civilians and contractors conducting developmental testing on a portfolio of rockets and missiles, with 28 years of service as an Army aviator. Raja Maharajh is Pratt & Whitney’s vice president and general counsel, responsible for leading Pratt & Whitney’s Legal Services team with overall responsibility for the company’s legal matters, as well as contracts, corporate ethics, government compliance and government security.